Get free Petite Modeling Advice, Petite Modeling Tips, Petite Modeling resource, meant to inspire the launch of any model of any height or type into the modeling industry with a self-promotional angle. Your outfits should be simple. solid colors no crazy desgns or logos. Simple balck dress, jeans and tank top or cute denim jacket or something. I would look at magazines such as Redbook, Cosmo, Marie Claire and get inspired. Notice the ads inside. I think the best time of day is in the morning like shooting between 9 am and 11am... or 2pm and 4 pm personally. But a professional photographer should know what is best and the shoot should NOT take all day. You should discuss what you need ahead of time so make sure to do that. You want to focus on getting the nice headshot and full body shots you will need for your commercial print agency submissions and making your compcard. Sure you could shoot other things but make sure you get what you need done first. For makeup if you can not afford a makeup artist go to a makeup counter at a department store or Sephora. For photography the main thing is having a nice natural lookig foundation, and then making your eyes pop but not tooo tooo much just enough. An example of a good headshot is the girls on the boxes of the hair color, go to the drug store and observe...also when you meet with a makeup artist you should bring with you some samples of the makeup you want from magazine tearsheets you have ripped out. I I would simply ask to have your "eyes done" and Show the makeup artist your examples, and then purchase the eyeliner or mascara for touch ups. Your lips can be natural or with chapstick r some gloss or lipstick. You might want a more done up look but you also want to totally have a natural look. A not trying to hard look, just a nice pretty headshot. No matter what you should look like you when the makeup is done, your hair should be natural maybe with more volume but honestly the photos should be an honest portrayal of you, you want the shots to look like you. So nothing nuts or too fashionista...just natural. 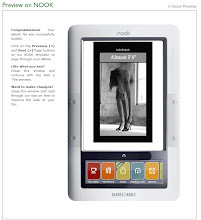 By thinking of the ads and modeling jobs you can picture yourself realistically doing it will help you plan your photos. Hey! I'm back at podcasting! 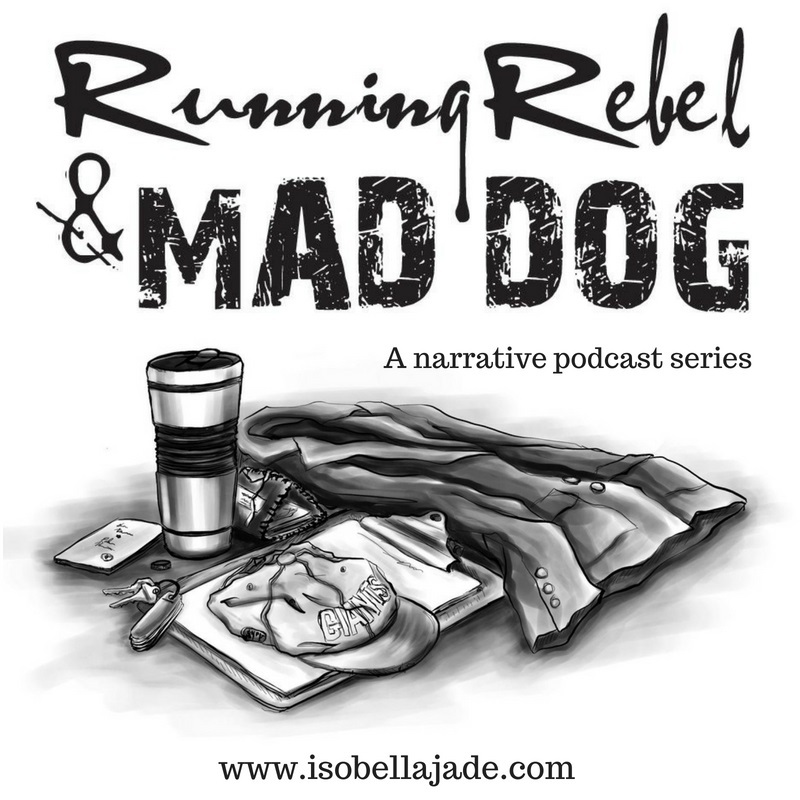 Check out the Running Rebel & Mad Dog narrative podcast series, it shares my personal journey through grief & heirlooms--Isobella Podcast Bio: Isobella Jade was working as a body part model in New York City when her father was killed in a propane explosion and fire in his home near Syracuse, NY. In this series she shares a narrative about a visit to his car and the items she found there, each with their own sentimental story. Each episode expands on her essay in The New York Times called, My Father’s Everyday Heirlooms. Listen to "Running Rebel & Mad Dog" on Spreaker. Available in print and as an ebook! 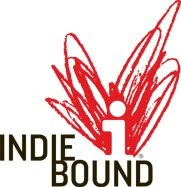 iBookstore-search Isobella Jade or Almost 5'4"
Download the iVerse Comics + app and search Model Life to check out the mobile edition! 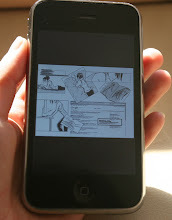 Model Life has gone mobile! Click the image to read all about it! Short Stuff Stuff shares my real day in the life adventures of being a model in this brand new collection of modeling stories from on-the-job experiences with Marshalls, Victoria's Secret, Macy's, Easy Spirit and other modeling jobs that took place after writing my memoir Almost 5'4". Does your photographer know what print modelnig is? What happens at a model casting? answered. Short Stuff: on the job with an x-small model! 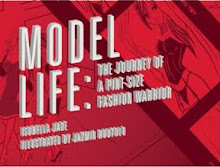 Check out "Model Life: The Journey of a Pint-Size Fashion Warrior"
Almost 5'4" is available in the UK! Click the cover for more info on my modeling memoir Almost 5'4"
A photo story of Almost 5'4"
The Modeling Portfolio Still Exists, get one! Lookbook fashion inspiration from real people around the world. Mad Dog and Beans -mexican rocks! Macelleria has great pumpkin ravioli with butter and sage, favorite! Trattoria Cinque -italian yum! "where there is a “5” discipline to showcase the five best of everything in Italian cuisine"
pay to be on Modeling Agency website? Why do you want to model? Voiceover Class- do you have a nice voice? The Bikini shot on a compcard? Using what you've got to Model- even your feet! America's next top PETITE model? Being discovered as a model- Is this over?